When you have a split corner of mouth sore it's hard to even smile. The skin in this area is so incredibly sensitive that even the smallest movement causes a great deal of pain. If you've ever had this condition, known as Angular Cheilitis, you know that you're willing to try just about anything to find some relief from the pain and also the redness. There are actually a few simple things you can do at home that really help remedy the situation. One of the very best things you can do if you do have split corner of mouth sores is to keep the area as dry as possible. Most people automatically think they should apply a moisturizer since the skin when you have Angular Cheilitis tends to be very dry and cracked. Moisturizing it will actually make the problem even worse. So stay away from lip balms as well. Instead focus on not licking your lips and when you do apply creams to your face, keep it away from that area. You also need to be mindful of the area when you are drinking a beverage. 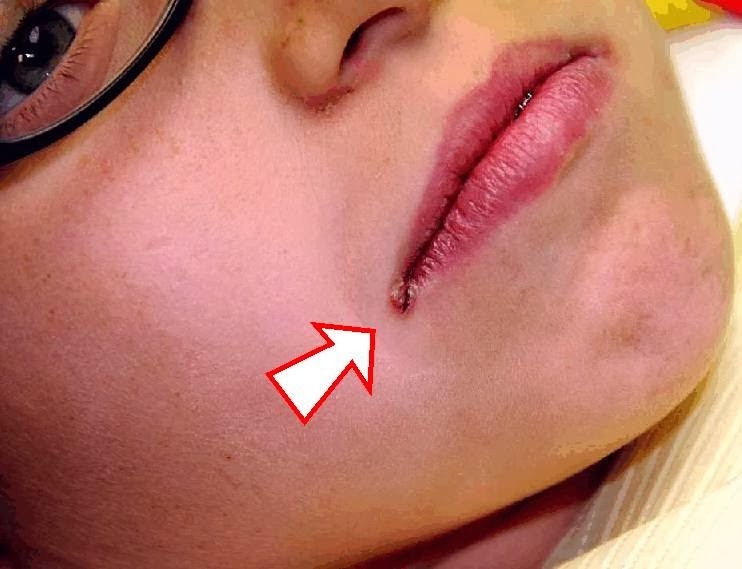 Since keeping the split corner of mouth sores dry is most important, consider drinking from a straw as often as it's convenient. If you can't, then you should keep a napkin or tissue handy to ensure the area does stay dry. Also up your intake of Vitamin B. It's been proven that split corner of mouth sores can be caused by a deficiency of this important vitamin. Eating more foods rich in the nutrient is the best approach and in addition to helping ward off this uncomfortable condition, it's healthy for your entire body. Although it can be painful and embarrassing to live with cracks on the sensitive skin in the corners of the mouth, there are ways you can treat the problem at home.